Drinking an herbal tea to help rid your body of toxic substances and lose weight sounds like a healthy way to drop those pounds; ultimately, however, you may be disappointed with the results. A detox tea may help you lose some weight, but not in a way that makes the weight loss permanent. Plus, some potential health concerns exist with these types of teas. Before you take your first sip, consult with your doctor to discuss the ingredients in these teas, along with their risks and benefits. What's in a Detox Tea? A variety of detox teas are on the market, but they tend to contain similar herbal ingredients. 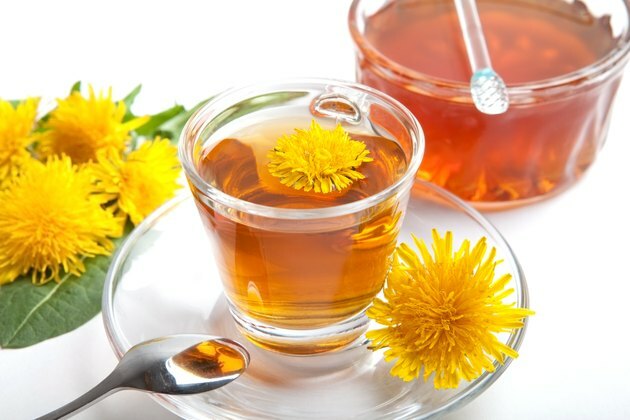 Some of the most common detox teas include dandelion, senna and yerba mate. These types of teas claim they help improve the way your kidneys and liver remove harmful substances from your body, which help you reach your health -- or weight -- goals. With their natural diuretics and laxatives, detox teas move the number on the scale by increasing the number of trips you make to the bathroom. It's not fat you're losing -- but water weight. Yerba mate and dandelion detox teas have diuretic properties. Senna is an herbal, FDA-approved over-the-counter laxative. Water weight loss is very temporary -- and once you rehydrate -- you'll likely regain any of the weight you had shed. Not only are detox teas not an effective weight-loss method, with prolonged use, you may also risk dehydration and electrolyte imbalance, especially with teas that contain senna. Additionally, MedlinePlus notes that senna should not be used for more than two weeks because it may lead to dependence on the supplement for normal bowel movements. High-doses of yerba mate are associated with cancer, says the Memorial Sloan Kettering Cancer Center. You should also not use detox teas with yerba mate if you have high blood pressure, heart problems or anxiety. Dandelion is considered safe, according to the University of Maryland Medical Center, but may be problematic if you're allergic to ragweed. According to a 2008 article published in Today's Dietitian, the claims surrounding detox teas are not supported by scientific evidence. Drinking a special blend of herbs does not improve your body's ability to get rid of substances it naturally eliminates through urine, sweat and bowel movements. Instead, you can keep your body healthy, and support the workings of your kidneys and liver, by eating a more plant-based diet that is low in sugar, salt and saturated fat, says Today's Dietitian. If you're looking to add a tea to your diet that is good for you and may help you lose a little weight, consider green tea. According to a 2012 review study published in the Cochrane Database of Systematic Reviews, green tea does produce a small -- although statistically insignificant -- weight loss. Green tea is also rich in antioxidants, which are substances that may help delay aging and reduce your risk of heart disease and cancer by preventing free radicals from damaging the healthy cells in your body. However, you should talk to your doctor about green tea before adding it to your diet and discuss potential interactions with any medication or other supplements you may be taking -- as well as other risks and benefits. Does China Slim Tea Help You Lose Weight?